Security officers at Goldsmiths, University of London are tired of their second-class treatment. As outsourced workers managed by CIS, they do not enjoy equal treatment and the same terms and conditions as the university colleagues they protect and defend every day. They want to be treated with dignity and respect, and are taking action over inadequate holiday pay, sick pay and derisory pensions by launching a campaign to be brought back in house immediately. As part of this campaign, they are holding a protest on Valentine’s Day at Goldsmiths HQ, 8 Lewisham Way, London SE14 6NW, 12–2.30pm. So, come on Goldsmiths; do not continue to keep these men and women who serve you loyally at arms-length. Why don’t you just Listen to what your security officers and students have to say. You pride yourself on being a ‘close-knit community’ with a ‘special commitment to our local communities within south-east London’. 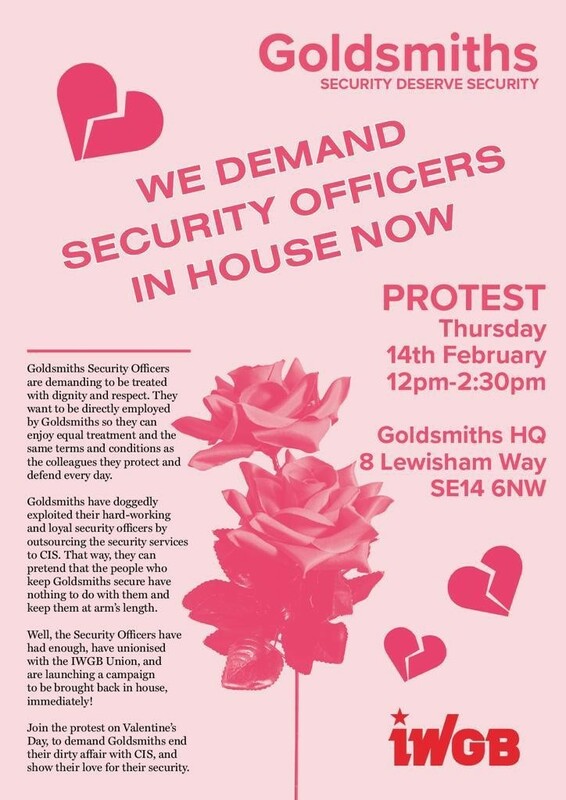 Don’t you think it is time to end your dirty affair with CIS and show some love for your security officers? While the University of London’s (UoL) senior management team continue to delay providing full details of how it will bring all staff in-house and confirm that they will do so by June 2019, academics continue to show their support for its precarious workers. Below is and open letter from fellows at the Institute of Advanced Legal Studies confirming their concern for the workers in view of recent revelations about managers at Cordant Services. We are fellows of the Institute of Advanced Legal Studies (IALS) who have signed this letter in support of outsourced workers at the Institute as we believe that all staff at the Institute should be treated equally. We support the bringing of all outsourced staff in-house as a priority. We kindly request on behalf of these workers that the Institute provides full details of how it will seek to bring all staff in-house and confirm that it will seek to do so by June 2019. 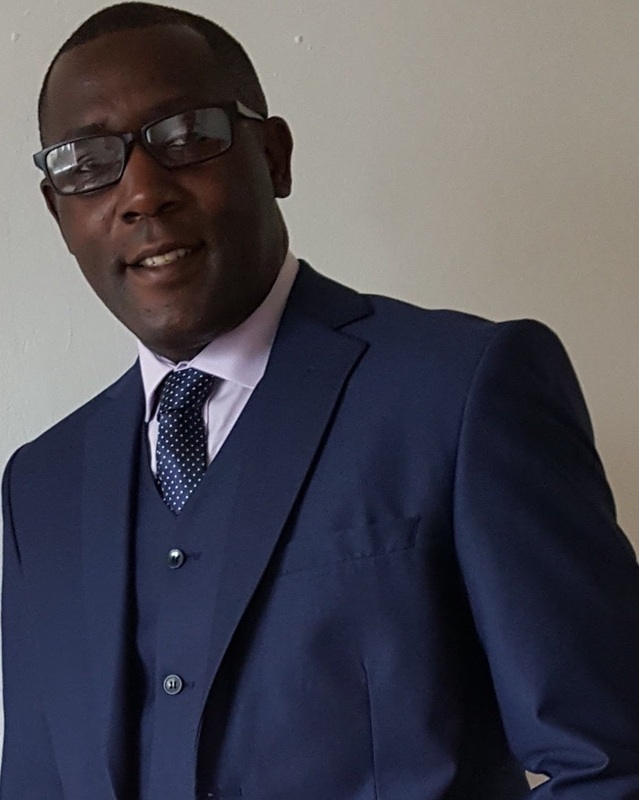 We are especially concerned about the outsourced workers’ position in view of the recent revelations about managers in Cordant Services, the company that employs these workers. Three women workers have brought the exact same accusations of sexism and homophobia against one Cordant manager. Another manager in charge of these staff had to be moved from this role after he was found to have shared xenophobic and far-right posts on social media. Given that the many of the outsourced staff are women, migrant and BAME, we share their concerns that they cannot be assured that they will be treated in a fair and non-discriminatory way until the University of London takes direct responsibility for their employment and working conditions. We value our association with the Institute, and wish this association to continue, and we hope to have your support in ensuring that we can continue our association with an institution where all workers are treated the same regardless of their role. IWGB’s fight against organisations such as the University of London, which continues to trample over the employment rights of its outsourced workers, features on the politics page of the Guardian. The article, “The tiny union beating the gig economy giants”, describes IWGB’s grassroots fightback that is helping to win basic rights for couriers, cleaners and other workers on zero-hours contracts. It highlights a range of the union’s successful actions including last month’s Deliveroo case in which 50 couriers won a six-figure payout because they had been denied rights including the legal minimum wage and paid holiday. More important, the article pays particular attention to IWGB’s ongoing ‘back in house campaign’ at the University of London. Written by Yvonne Roberts, it quotes from Glen Jacques’ letter in which the receptionist warns: “Every pyramid is only as strong as its foundation, and if the foundation is not maintained to a high standard, the pyramid will, in time, collapse.” And it includes profiles of three of the workers who run the union – Mags Dewhurst, part-time bicycle courier and IWGB vice-president; Sarah Anderson, chair of the union’s first foster care workers’ branch; and our president, Henry Chango Lopez. For two days next week – 25 and 26 April – more than 100 cleaners, porters, security officers, receptionists, gardeners, post room and audio-visual staff at the University of London (UoL) will be striking for fairness and equality. And they need your support on the picket line outside Senate House.